For the Seward’s, “Adversity begets Perseverance”…In the 1930’s, the Seward Family of farmers residing in Kansas, experienced the infamous “Dust Bowl,” and as a result looked for greener pastures in the West. Driven out of Kansas by drought, Albert F. Seward led his wife, Jenny, and family to the fertile ground of the Treasure Valley along the Snake River in Idaho near Nyssa, Oregon in 1937. After a scouting mission, seeing how the green grass and weeds along this glorious river were growing unhampered by the the summer heat, Albert reasoned that the Seward Family could surely make a living farming this fertile land with an unbelievable abundant water source. One might say that in 1937, Golden West Produce was born, as without the realized vision and immeasurable risk that Albert F. Seward took for the benefit of the family, the present day Golden West Produce and GW Farms, certainly would not have been possible. From 1937 to the mid-1990’s, the Seward Farm experienced unfortunate dispersion and fragmentation, typical of most family farms in America. Albert’s children each had a vision of their own, and went separate directions, some choosing paths outside of the agricultural arena. Farming was still an integral part of the Seward Family, but was done independently. Don A. Seward was one of Albert’s sons, and bought a farm along the Snake River in the 1950’s, behind the original Golden WestProduce facility in Nyssa, OR. His son Donald D. Seward worked alongside his father until branching off on his own after his father’s retirement in the early 1980’s. In 1973, Donald had a son, Troy, who grew up on the farm, watching his father and grandfather work the soil and instilled in him the farming spirit of his forefathers. Troy was an active participant in FFA and worked alongside Don on the farm throughout High School, gaining invaluable experience of farming operations. Pressured by his father, poor markets in the 1980’s, and his own desire, Troy was the first of his family to choose an alternative path and attend and graduate college with a Bachelor of Architecture from the University of Idaho. 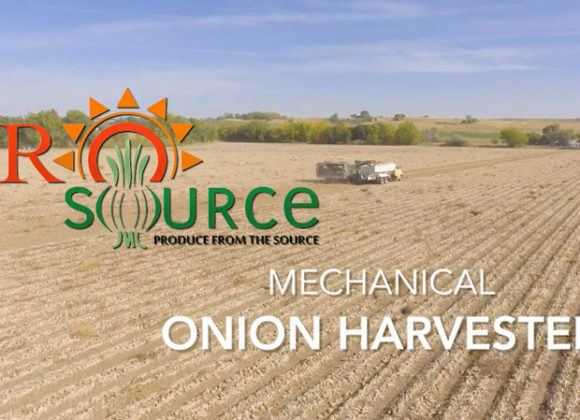 It wasn’t long though after graduation, before the farm came calling, when in March of 2000, Donald and his nephew Rick Ketterling decided to purchase an existing onion packing facility and asked Troy to join the team. 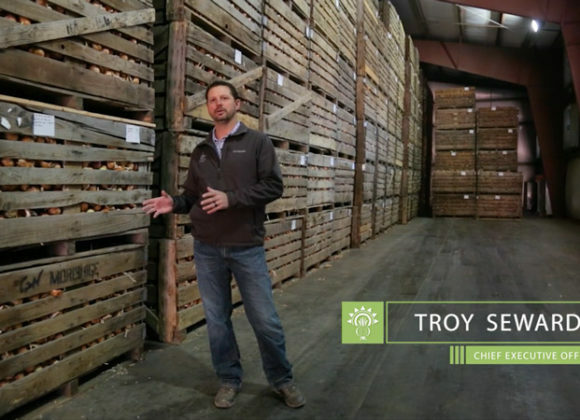 Having had a secret dream with his father to someday pack and ship their own onions, Troy immediately accepted and came on board in charge of sales, and Golden West Produce was born. In 2000, the Seward’s, although no stranger to farming, were new to the arena of marketing fresh packed produce. Troy, having no prior sales or marketing experience, worked the phones tirelessly that first season, cold-calling to generate every possible sale and learning the onion business the hard way. Business was steadily growing, when in June of 2005, adversity struck once more. Rick Ketterling, Troy’s cousin and founder of Golden West, was diagnosed with brain cancer. After surgery, chemotherapy, and radiation, Rick unfortunately slowly became incapacitated and could no longer function as President of Golden West. As a result, in an effort to keep the company alive, Troy persevered and acquired all of Rick’s farm assets and shares of Golden West in January of 2007. From 2000-2010, Golden West worked hard to build a reputation of honesty in dealing and quality of product. 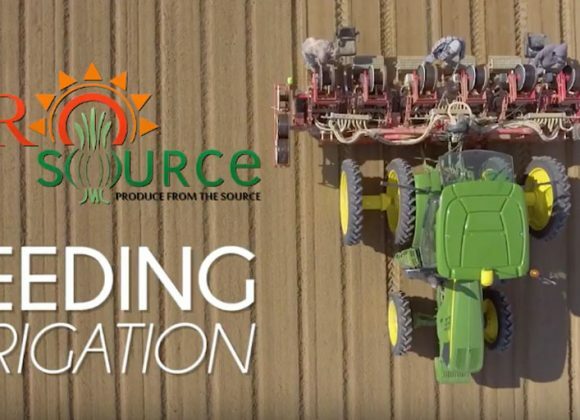 In early 2010, after 3 years, Troy realized that the management of the farm, packing operations, and sales was becoming a bit too much for one man to adequately handle. As a result, the concept of ProSource, Inc. was born. 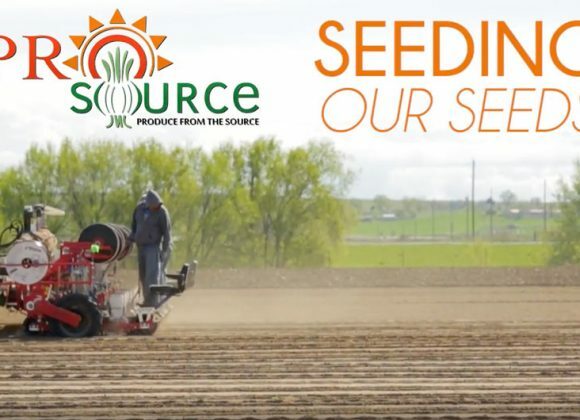 ProSource was created as the sole and exclusive “grower owned” marketing agent for Golden West Produce, supplying onions and potatoes to customers year-round. 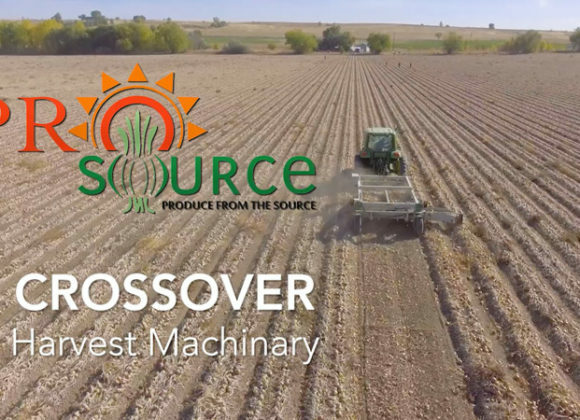 Today, ProSource is a strong partnership of veteran produce professionals, managed by Corey Griswold, COO, who oversees our sales team. 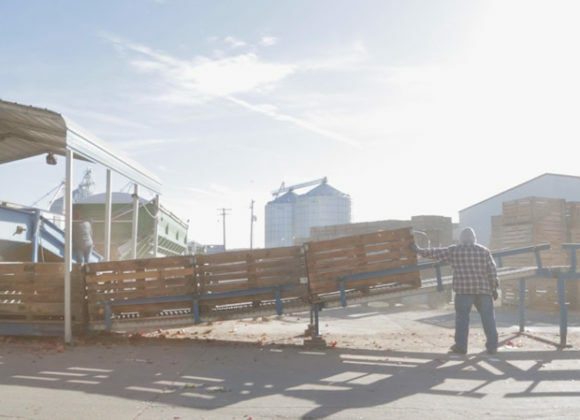 This team has allowed Golden West and GW Farms to progress to the “next level,” and focus on what we do best…growing and packing the finest onions available anywhere in the world. In January 2017, adversity struck the Seward’s once more. An unprecedented winter snow/ice event, caused 6 GoldenWest buildings to collapse, including the packing facility. 80 years since the Dust Bowl, perseverance is once again our calling. Golden West is rebuilding its facilities and incorporating state of the art improvements, led by the design and management efforts of Troy Seward. Troy is determined to show and prove that once again for the Seward Family, that “Adversity begets Perseverance!” Our mission is to never give up, and to never compromise in the pursuit of growing, packing, shipping, and providing the very best product and customer service possible. Our Motto is “Proof through Performance”, and we are proud to stand behind it. 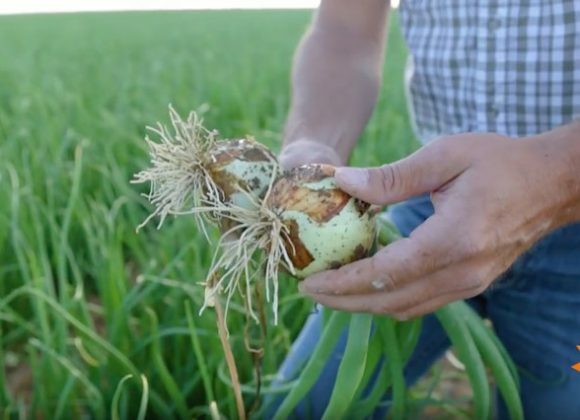 Rio Valley Onion is an extension of a family farm, located on the banks of the Rio Grande River in the fertile valley of Hatch, New Mexico, aka Chile Capital of the World. This family originated from the offspring of Joseph and Celestina Franzoy, Italian immigrants that started farming in this same little valley around 1912. The family consisted of 10 children, 6 boys and 4 girls, of which most descendants are still active farmers today. Water from the Rio Grande was the lure that brought the Franzoy couple to this area. 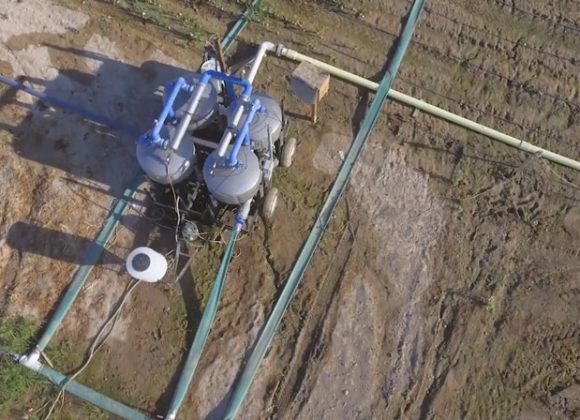 In a span of 100 years, the farm family went from irrigating out of acequia to modern day drip irrigation. In spite of modern technology, the farm is dependent of the Mercy of God, and still faces the challenge of the Wrath of Mother Nature. Zooming in a little closer, Rio Valley Onion is the family of 3rd generation, Irene Franzoy, and Nick Carson, along with their four children. The addition of ideas and viewpoints from spouses Joe Paul Lack and Chelle McCasland bring added value to this family run operation. We are still a family farm. We combine the talents of multi-generations with our trusting faith and strong work ethics to produce, pack and ship a quality, safe product for the consumer. 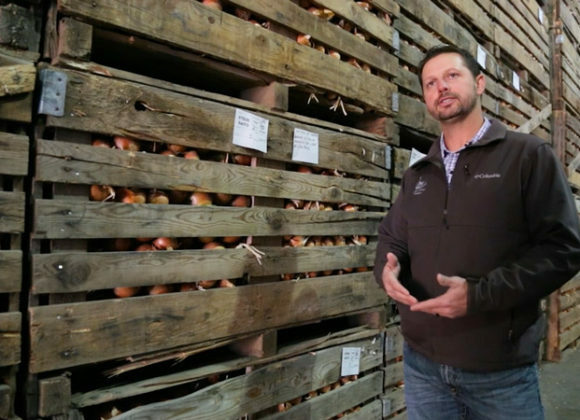 Corey Griswold began buying onions from Rosie and Joe Lack during the summer of 2001. Over time the relationship and trust developed into a true partnership. 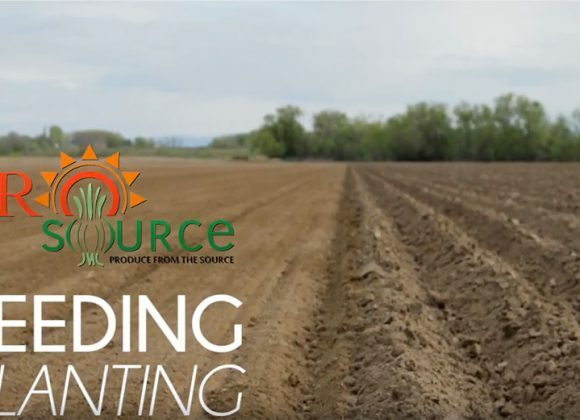 In 2010, the Lack family took a gamble on a young grower owned marketing company, PROSOURCE Inc., as their sales and marketing partner. PROSOURCE Inc., has been the sales and marketing partner for Rosie and Joe Lack ever since. 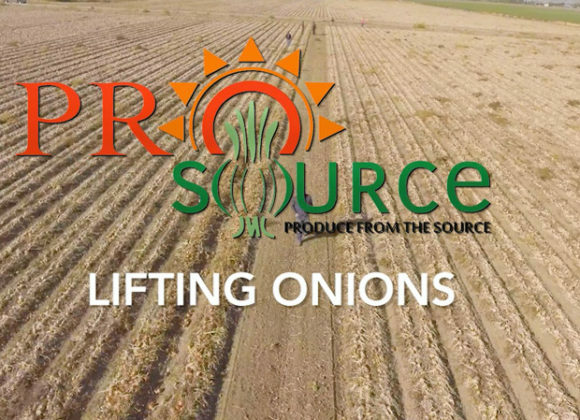 In 2016 Prosource Inc., assumed the sales and marketing responsibilities for the Carson family and now Rio Valley Onion as a whole!